In preparation for the UVP Meeting at the University of Nebraska, Lincoln, May 30-June 1, I am reading Stephen M. Kosslyn and Ben Nelson’s edited volume, Building the Intentional University: Minerva and the Future of Higher Education (MIT Press, 2017). I was attracted to the volume because Senator Bob Kerrey, our distinguished UNL meeting guest, contributed the foreword entitled Higher Education in the Twenty-First Century. I also wanted to learn more about Minerva, which Sen. Kerrey serves as Executive Chairman for Research and Scholarship, and about which I know little. I’m halfway through! Former Nebraska Governor, U.S. Senator, and President of The New School. 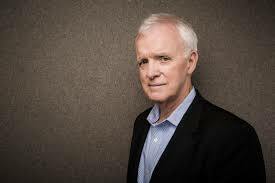 The Reinvention Collaborative is honored to welcome Bob Kerrey to the May 30-June 1 UVP Meeting at the University of Nebraska, Lincoln (see Upcoming UVP Meetings at this website for details). Amy Goodburn, Nebraska’s UVP and our meeting host, informed us today that Senator Kerrey told her this past weekend, after his commencement speech to the newest ‘Husker Alumni, that he is very much looking forward to engaging our members in Lincoln. Bob Kerrey is Managing Director at Allen & Company. He is also Executive Chairman of the Minerva Institute for Research and Scholarship, supporting the Minerva Project, an exceptional liberal arts and sciences education. From 2001-2011, Mr. Kerrey was president of the New School, a university founded on democratic ideals and daring educational practices. On his watch, The New School experienced unprecedented growth in enrollment, faculty, scholarships, capital projects, research, and international engagement. From 1989-2001, Mr. Kerrey represented Nebraska in the United States Senate, where he promoted equity for rural communities, led in farm and environmental legislation, strengthened taxpayers’ rights, led in restructuring our intelligence agencies, and partnered with local leaders to build projects of lasting value to Nebraskans. His public service since leaving the Senate includes: the 9/11 Commission, advisory board of the Iraq and Afghanistan Veterans Association, co-chair of the Concord Coalition, and the Natural Resources Defense Council. Prior to his Senate service, Mr. Kerrey served one term as Nebraska’s Governor. Before entering politics, he was a businessman who helped build a chain of restaurants and health clubs employing over 1,000 people. Mr. Kerrey served as a U.S. Nancy SEAL during the Vietnam War. For his service, he received the Medal of Honor. While he Vietnam, he was wounded, permanently disabled, and received from this injury a great gift: sympathy for those who are suffering and an appreciation for the capacity of government to save your life. Mr. Kerrey earned a B.S. degree in Pharmacy from the University of Nebraska. Mr. Kerrey is married to Sarah Paley and lives in New York. They have a 16-year-old son, Henry, and Mr. Kerrey has two children from his previous marriage. Ben and Lindsey Kerrey, and four grandchildren. Thanks to all for a great conference! The Reinvention Collaborative 2018 Biennial National Conference was the most well-attended in our nearly twenty-year history and was perhaps our most thought-provoking and encouraging as well. Thanks so much to plenary and breakout session speakers. Thanks to our session moderators and presiders and to those who contributed to the poster session. We are also grateful to the many who supported the conference, including sponsors and staff. The Reinvention Collaborative Biennial National Conference will return to the Renaissance Capital View Hotel in Arlington, November 12-14, 2020. The upcoming UVP Meeting and Biennial National Conference will be the most well-attended in the RC’s history! We’re also delighted to welcome Buck Goldstein to discuss his and Holden Thorp’s Our Higher Calling (UNC Press, 2018), and Piazza, a sponsor, for a demonstration and discussion. For those unable to attend, know that the RC plans to publish conference papers in an online digital resource at this website. On July 1, 2018, I was privileged to begin in this role. My predecessor, Alan Lamborn, had decided to retire from both the Reinvention Collaborative and from his leadership role at Colorado State University. Having benefited from its several years hosting the RC, and in hope of further contributing to the strengthening of undergraduate education at national research universities, Colorado State and the RC Board decided to conduct a national search for a new executive director. I was fortunate to be selected. The reason I feel so fortunate is easily shared. I am a first-generation student from Flint, Michigan. My adopted parents valued education but it was perhaps more significant that a neighbor and friend who was always smarter than me decided to follow in his brother’s footsteps (also smarter than me) and apply to Michigan State University. I applied only to that single institution and never visited the campus—for that matter, any campus, ever—until the day I arrived in East Lansing to sign up for classes. Long story short, it is a privilege to be positioned at a land-grant university with a charge to facilitate access and excellence across the research university landscape. In addition to my undergraduate degree from a public land-grant, I earned a doctorate at a private religiously-affiliated university and then spent the first 13 years of my faculty and administrative career at another private religiously-affiliated institution. Then followed 12 years at three public land-grants, two flagships among them. This experience, which includes serving as Vice Provost for Undergraduate Studies, has primed me for my current role. So, hello Fort Collins! What a great location from which to serve students, not to mention their diverse and dedicated faculty and staff and respective university administrations, all of whom strive for innovation and excellence.